First in a series: How Do We Organize a Hundred Million? The strategic considerations discussed in this series of posts assumes that it will take a hundred million activist in the US and many hundreds of millions more worldwide to make revolution. Real politics begin where there are millions, many millions. We will need millions to overwhelm, undermine and dismantle the machine. And we will need millions to create viable alternatives by building communities with independent control over their water, food, energy and incomes. There is just so much to be done. The corporate power, military-industrial complex, corporate media, mass surveillance, seventeen secret police forces, global empire, and the vast militarized penal system — all coordinated, regulated and managed by the two-party system — is perhaps the most deeply entrenched power structure in world history. The consequences of this power: the collapse of democracy, environmental catastrophe, endless war and untold suffering. If current trends continue, the established order is likely to be an existential threat to every county, culture and life-form. Oh yes, we need millions to change the world. But this power structure is a product of our history. It is not immortal or monolithic. The internal division exposed by the election of loose cannon and demagogue Trump and the bankruptcy of the corporate Democrats is on full display for any with clear eyes to see. When in US history have secret police forces openly chosen sides in a US election? The point of the deep state is that it governs us out of sight and out of mind. When a trusted guardian of the establishment, such as Chuck Schumer, reveals on prime-time TV that the so-called intelligence community has the capacity to retaliate against Trump then the curtain is truly torn. Either the internal divisions are terribly desperate or Schumer feels that people are so profoundly ignorant of the fundamentals of democracy that the illusion is no longer worth maintaining. Or both. Not since the confusion and disarray caused by the Tet Offensive during the Vietnam War has a division within the ruling class been so open. How permanent these divisions are remains to be seen but one things is sure: no matter how bankrupt, criminal, or dangerous the US government has become, that alone will not guarantee the resurgence of pro-democracy movements. The Democrats for example are struggling to gain control over the movement against Trump and reconstitute themselves on the old basis of corporate power. While it is important to point out how deep the crisis goes, objective conditions alone will not create the next American revolution. Ideas and ideologies do matter, but if we are to contest power then we need to go beyond ideological rigor and moral positions. We need a strategy the can help us build movements large and visionary enough to disrupt the inner workings of the corporate and imperial machines driving us so relentlessly toward social and environmental disaster. The unspoken assumption of the US left is that the right analysis, correct ideology, precise political definitions, or righteous moral positions on the issues will somehow translate into power. We have devoted enormous energy to all those things for decades yet somehow they are not enough. Instead, we need to complement our ideological and utopian visions with a more strategic sensibility based on the existing conditions and existing social movements. We should look not just at the goal or ideal we desire but study the movement itself. How and why do people move? How is consciousness raised? It takes more than winning a debate or being right. When we move to contest space and contest power then we contest ideas in ways far more meaningful than by discourse alone. The new civil rights movement, Standing Rock and the environmental movement it is leading, and a reemerging movement of soldiers and veterans are good indicators, among others, that the contest over power and space has begun. The point is not what ideas constitute the right analysis, the point is what strategy will get millions of people to take action. When the multitudes move then school is really in session. A useful strategy can help us learn from — and guide us through — what will undoubtedly be a time of immense volatility, fluidity and creativity. We are already seeing natural, political and cultural upheaval and disruption and the trends promise more, much more. With that in mind, a provisional strategy could begin with the inside/outside strategy as a framework for organizing; universal values as destiny and primary rhetorical strategy; and transformation/reconstruction as the historical measure and most likely mode of revolutionary change. A working theory of revolution must take into account the deep contradictoriness and abiding contingency that is the hallmark of revolution. It is doubtful whether strict ideological standards, moral striving, or machine politics can produce the kinds of creative strategy and tactics necessary to navigate rapidly shifting circumstances. It is unlikely that the revolution will proceed according to our expectations. We must learn to navigate stormy seas or drown. Third in the Series: How Do We Organize a Hundred Million? If we want to organize a hundred million, we must not only go where people live and work but also engage what they think and believe. And people believe in universal values. In moments of revolutionary flux, the chaos and confusion of on-the-ground politics out runs the far-too-orderly confines of ideology. Perhaps this is why revolutionary movements cannot win the hearts and minds of millions of people without struggling toward Equality, Ecology, Peace, Love, Freedom and Democracy. Mahatma Gandhi and Martin Luther King innovated universal values of immediate strategic use: non-violence and peace. Massive nonviolent civil disobedience emerged as a transformative revolutionary strategy not simply because it was morally superior to war but because nonviolence promises a struggle that millions of people might risk participating in. In the century since Dubois’s time of “two-ness,” political consciousness has done nothing but further multiply, complicate and fragment. For evidence, look no further than the social movements that have emerged since the Sixties. 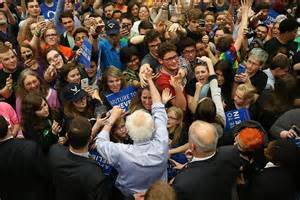 Struggles over race, class, gender, sexuality, age, war and empire have merged with Occupy, the Sanders revolution and the new civil rights and student movements to weave a crazy quilt of democratic opposition and alternatives. We are polycentered, diverse, conflicted, variegated, fluid, and rapidly shifting. This is reality. It is a good thing. Universal values accommodate the ambivalent nature of social identity becase they do not have a singular meaning but instead have a multiplicity of meanings relevant to a broad range of social movements, identities, and communities. Different people see freedom and live freedom differently. Let it be and build on it. Both agreement and disagreement are the inescapable conditions of political life. In almost every poltical relationship there is both unity and struggle. We must embrace this. Revolutionary strategy must account for “both/and.” Universal values allow us to agree and disagree simultaneously as we work together in a rough and ragged harmony. Click to read One, Two, Three. To organize millions, the revolution has to create, not destroy. Truly massive movements take shape around affirmations of goodness most powerfully represented by the promise of universal values. Our task is to fulfill this promise, recognizing that we doom our efforts to win people’s support and allegiance if we too often rely solely on criticism, resistance, and opposition. It is far, far better thing that we be authors of a new world rather than critics of the old one. If we envision revolution as radical departure or complete discontinuity from the existing world we are likely to both overlook real change and leave the millions behind. A transformative movement works on culture and works with history. Transformative movements recast and reconstruct cultural materials from the past and present to create a new world out of the world we have inherited. To be a transformative organizer is to be a worker. As King suggested, “There is nothing to keep us from remolding a recalcitrant status quo with bruised hands until we have fashioned it into a brotherhood.”[ 1 ] With our hands and minds, we labor upon the existing world, making it into something new, while allowing the value of the raw materials to shine through. Transformation and reconstruction makes another world possible starting from the world we are in. Expectations for total change actually diminish the chances for real revolution by proposing changes without taking transition into account. Dreams of total change cannot be easily imagined or acted upon. In their collective wisdom, the millions know you cannot tear one thing down without creating something else to put in it place. Revolutions do not reject the past. Revolutionary organizers embrace the world because there is simply no other way of reworking culture. Conventional ideas of linear, mechanical, discontinuous change will not serve us well in times of revolutionary ferment. Static binaries such as past and present, old and new, or tradition and revolution reinforce the existing order while transformation and reconstruction of the past, the old, the traditional, is the signature of revolution. While Karl Marx dreamed that future revolutions would make a clean break with the past, the actual revolutions he observed and interpreted in his life demanded the dialectical approach at the core of his philosophy. Consider Marx wrestling with history and revolution. Men make their own history, but they do not make it as they please; they do not make it under self-selected circumstances, but under circumstances existing already, given and transmitted from the past. The tradition of all dead generations weighs like a nightmare on the brains of the living. And just as they seem to be occupied with revolutionizing themselves and things, creating something that did not exist before, precisely in such epochs of revolutionary crisis they anxiously conjure up the spirits of the past to their service, borrowing from them names, battle slogans, and costumes in order to present this new scene in world history in time-honored disguise and borrowed language….Thus the awakening of the dead in those revolutions served the purpose of glorifying the new struggles, not of parodying the old; of magnifying the given task in the imagination, not recoiling from its solution in reality; of finding once more the spirit of revolution, not making its ghost walk again. By using the ideas of transformation and reconstruction we can better envision the process of historical change as the play between continuity and discontinuity or between tradition and innovation. 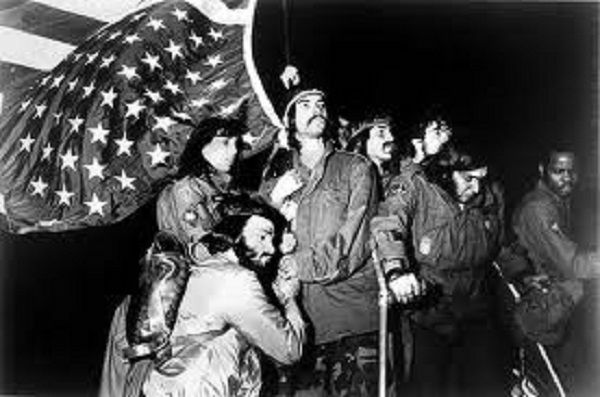 At the heart of the last American revolution, a movement of Vietnam era soldiers and veterans opposed war and empire. Lead by patriotic volunteers they became “new winter soldiers” that remade and transformed the citizen-solder ideal. The anti-war soldier became the contemporatry reenactment of a revolutionary figure created in the American Revolution and Civil War. The transformation ran so deep, it founded a permanent movement of military dissent. Vietnam Veterans Against the War, Iraq Veterans Against the War, Veterans for Peace, GI Rights Network, Military Families Speak Out, Votevets, the heroic stand of Chelsea Manning, and the insightful anti-imperialism of intellectuals like Andrew Bacevich still continue the revolution of the Sixties. We should set our sights so high. The experimental approach of the inside/outside strategy, altertness to transformation/reconstruction as the mode of revolutionary change, universal values as rhetorical framework and political ideal, and the recognition that our ideals and strategies must, of necessity, speak to a hundred million people and more, are four parts of a work in progress. To make the changes we must make, we need to create a working theory of revolution. 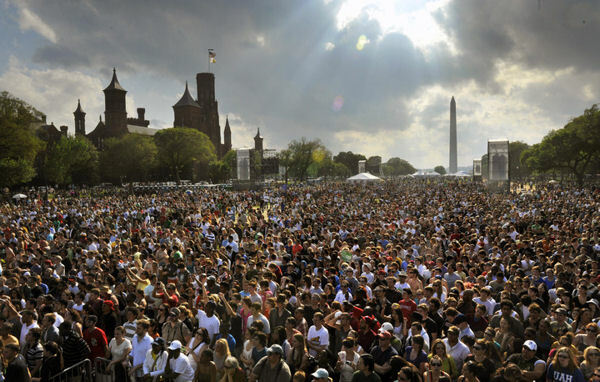 Perhaps “How Do We Organize a Hundred Million” is a beginning. You be the judge. [ 1 ] Martin Luther King, Where do We go From Here? [ 2 ] Karl Marx, The Eighteenth Brumaire of Louis Napoleon, 1852. [ 3 ] Martin Luther King, Where Do We Go From Here? [ 4 ] Martin Luther King, Where Do We Go From Here? [ 5 ] Richard Moser, The World the Sixties Made p.44.